Kraków, situated in the south of Poland, is the country’s second largest city. It has an exceptionally well preserved medieval centre with a beautiful, large market square. 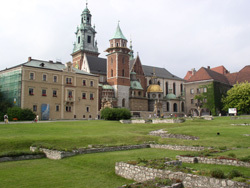 Kraków was also the European city of culture, an accolade it received at the turn of the millennium. It is home to 28 museums and various other art galleries and collections.